The mighty Mississippi River is the fourth-longest and tenth-largest river in the world. It is the largest in North America and winds through ten states before emptying out into the Gulf of Mexico in Louisiana. Civilizations have lived among its banks for millenia as it has long been an important trade route. Dozens of other rivers and tributaries pour into it, and the Mississippi acts as a watershed for the lower 48. But aside from us here in Minnesota, do many know much about its origins? Read on to learn more! As the US was colonized and explorers made their way through Minnesota, many believed that Lake Bemidji was the headwaters of the river. 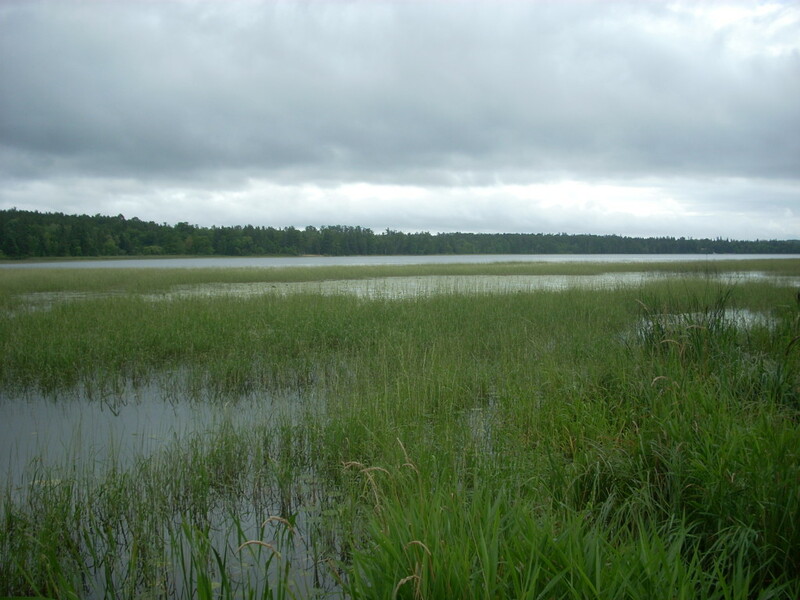 But it wasn’t until Henry Schoolcraft, an American pioneer, was shown Lake Itasca (above) as the true source of the river in 1832 by an Ojibwe Indian named Ozawondib. Schoolcraft created the name Itasca from the Latin words for “truth” and “head” (verItas Caput). 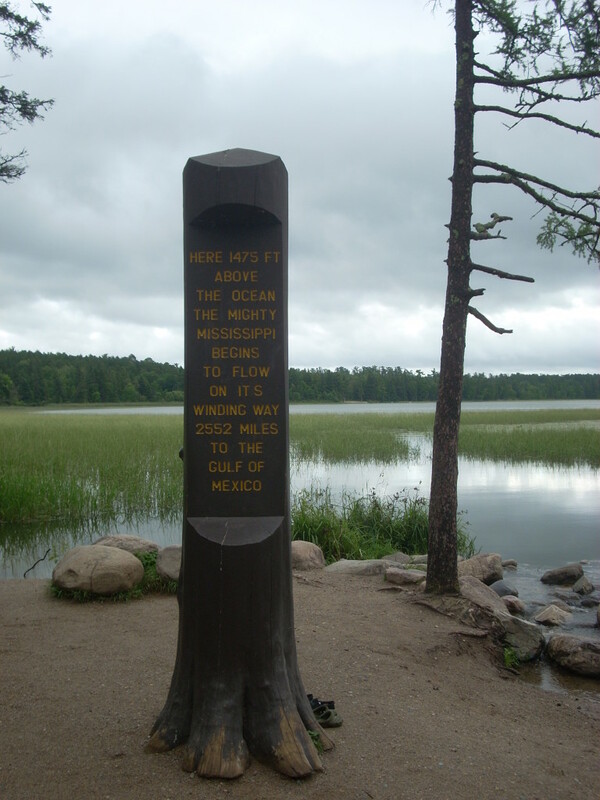 Where Lake Itasca drains out to begin the formation of the Mississippi River, there is a large post, a monument of sorts, which explains that here at 1,475 feet above sea level in north-central Minnesota, the river begins its journey of 2552 miles to the Gulf of Mexico. There are stepping stones across the mouth of the river that one must make, as a sort of rite of passage. You will be guaranteed to see folks doing this almost anytime you visit. The river begins to quietly flow through the park and meander under walking path bridges and through pristine old-growth pine forests. Many choose to walk across the stones at the mouth and continue on down the river in the shallow, gently flowing water walking on the smooth, soft sand. One ruminates on the humble beginnings of such a formidable waterway, imagining the journey the water under your feet is embarking on. In addition to the Interpretive Centers near the headwaters, there is a 10-mile one-way Wilderness Drive loop through the park with many points of interest along the way, such as a bison kill site; a short hike to a 100-ft tall firetower (which offers panoramic views from the top); storm-ravaged areas from years past; and the largest white pine in Minnesota (seen below). 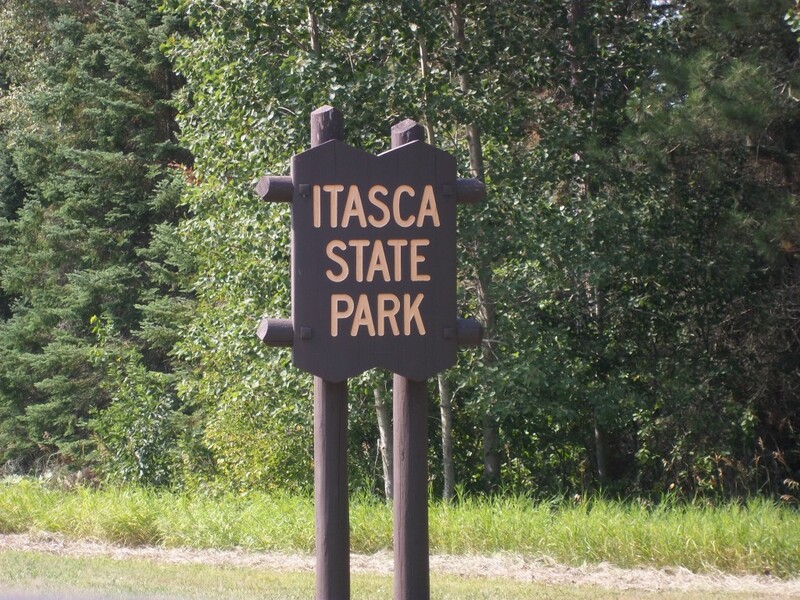 Itasca is one of the most visited state parks in Minnesota, and for good reason. The scenery is amazing; there is a large double-decker paddleboat that takes viewers on a tour around the lake; and all kinds of great hiking, fishing, swimming, camping, etc. 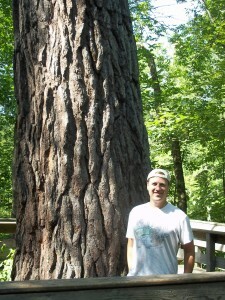 Plus it is one of the few remnants of old-growth pine in the state, other than the Boundary Waters Wilderness Canoe Area and the Lost Forty. 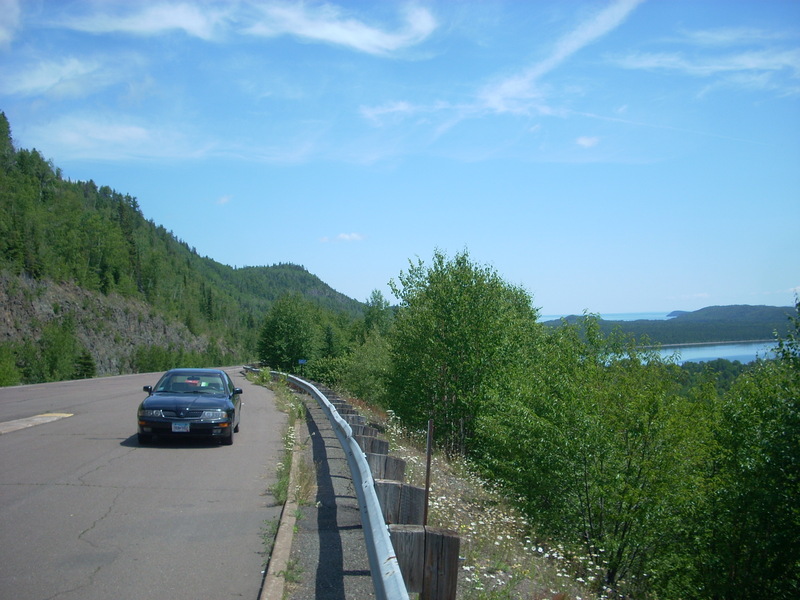 It’s one of the best state parks in Minnesota, full of history, scenic beauty, and countless things to do. But the main focus of the visit here is to make the steps across the humble beginnings of the largest river on the continent. This should be on every Minnesotan’s bucket list. 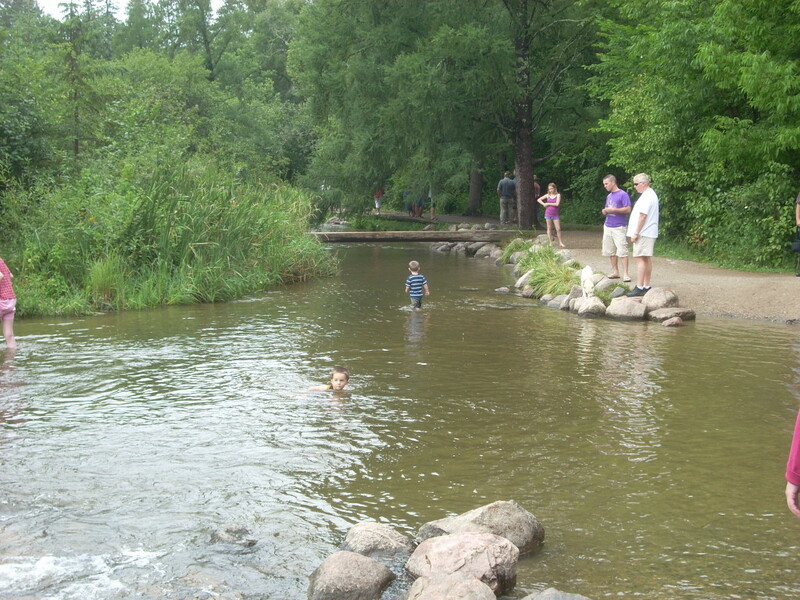 While in the area: Itasca isn’t too far from Bemidji and their iconic Paul Bunyan statue, and it’s just north of Park Rapids, where the Heartland Bike Trail begins. Or head east a bit and check out the classic Emmaville Store.